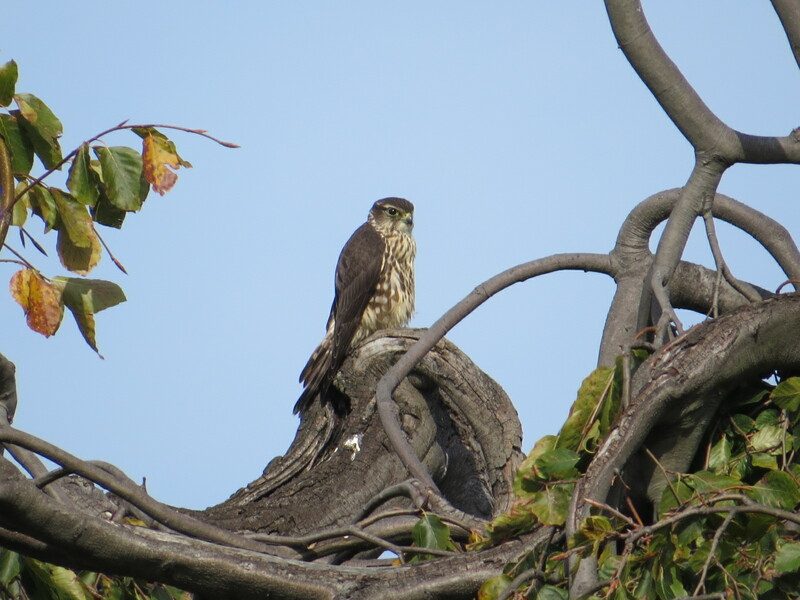 A really nice and extended look at a Merlin (Falco columbarius) yesterday in Green-Wood. The bird gave me the big, beady eyes, too. These falcons are known for perching for a long period of time, eyes on the lookout for the prize. 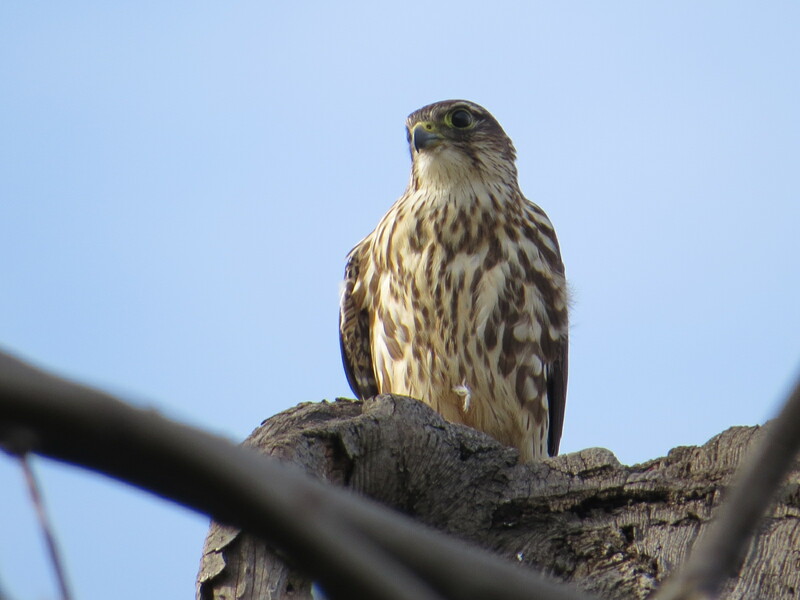 The surroundings were busy with Blue Jays and Monk Parakeets, both roughly the same size as this small raptor, so a bit of a stretch as prey. The faint Fu Manchu “mustache” mark is visible in these photos, coming down from the eye. 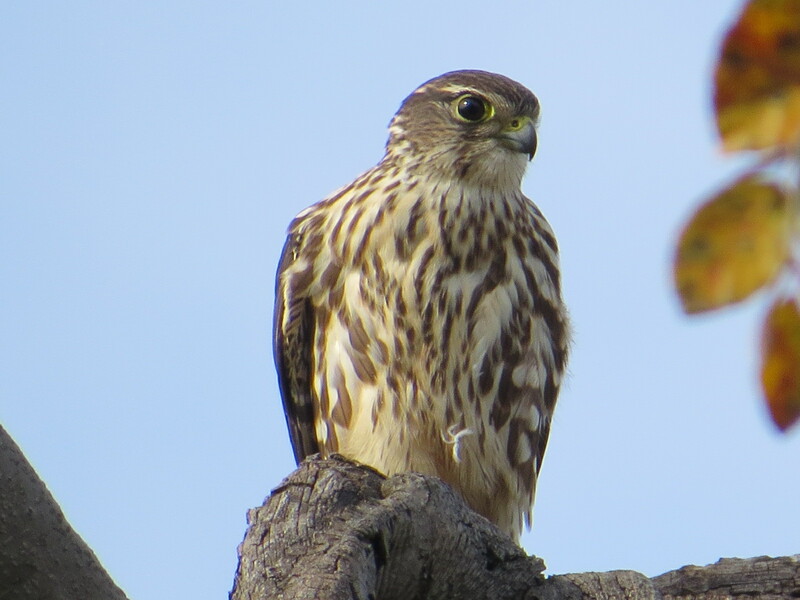 This species has a broad range in North America, with three distinct populations; East Coast birds are usually “Boreal” (a.k.a Taiga), Falco columbarius columbarius. A sort of medium roast bird compared to the very light Prairie and very dark Pacific subspecies. Half a dozen other subspecies are found across northern Eurasia. 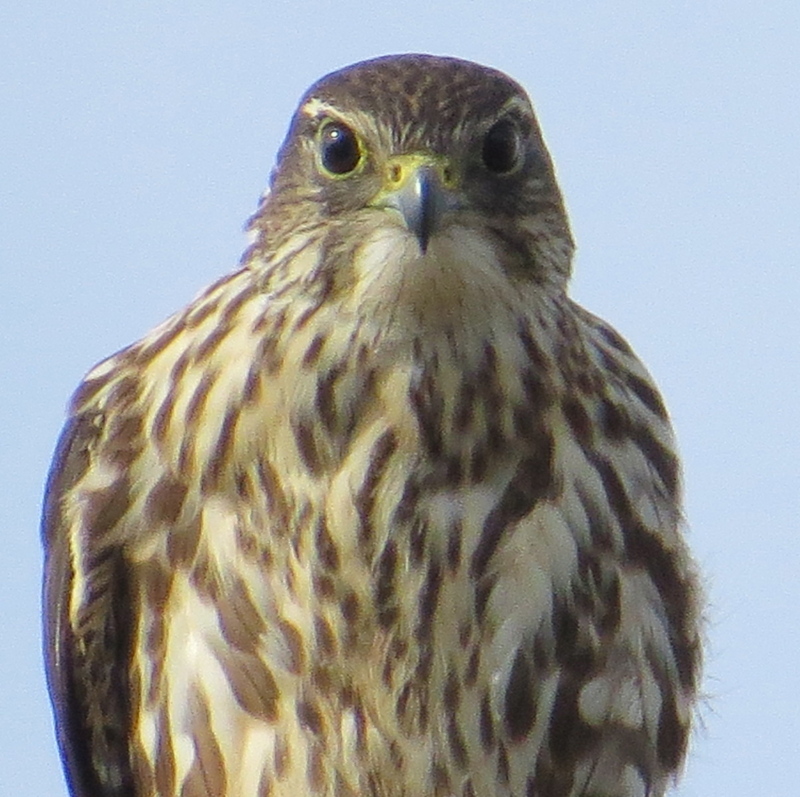 Note also the “eyebrow.” This species also known as Lady Hawk and Pigeon Hawk. New York is the very southern end of their breeding territory, with only a few records in the state, generally in the Adirondacks. We see it here in NYC during migration. But sometimes at other times as well. I got a good picture of one last January in Green-Wood, practically right next door to yesterday’s location. Thanks for getting so close so we too could get close to this special bird. You certainly do get wonderful photos! One from the archives. A 6th Anniversary highlight.